Cape Cod is all about enjoying one of the most beautiful places in the United States — if not the planet. But ant infestation on Cape Cod can ruin your enjoyment of the great outdoors at your home or business. At Pest Pros, we specialize in ant control on Cape Cod. Since 1999, we’ve been serving area home and business owners with an experienced team and a firm commitment to getting the job done quickly and effectively. 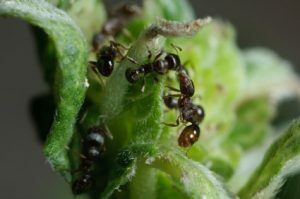 Locally owned and operated, Pest Pros is your source for fast, dependable and environmentally friendly ant control in Falmouth, MA as well as surrounding communities. If you’ve been putting up with an ant infestation for too long, get your home or business back to its peak potential in no time flat by calling on Pest Pros your trusted exterminator for ants. 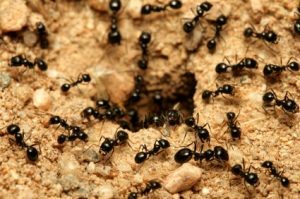 There are several types of ants that we can help you control in your home or business including acrobat ants, carpenter ants, field ants, little black ants, and pavement ants. These different ants have unique traits that can affect your home or business. Acrobat ants may nest both outdoors and indoors. Outdoor nests are most often in dead and decaying wood such as logs, stumps, dead tree limbs, firewood and hollow tree cavities. They may nest in damp soil beneath leaf litter or rocks. The small worker ants readily enter buildings through cracks around windows and doors and other openings. Trails of workers may be seen moving between the nest and a food source. 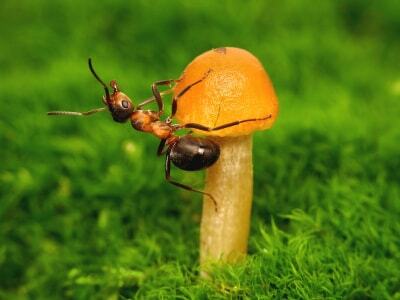 Acrobat ants feed on a variety of foods, including other insects and sweets.t in damp soil beneath leaf litter or rocks. Carpenter ants are the most common pest ant seen in homes throughout the northern United States. The main colony must have a constant source of moisture to survive, so it is usually located in dead wood outside. Indoors, a main colony will have to be associated with a water leak or an overly wet, poorly ventilated crawl space or attic. They prefer to hollow out their nests in softened wood galleries and would have the mud-like material found in rough termite galleries. Field ants can easily be confused with carpenter ants. Field ants nest in the soil in moderately large colonies. They are scavengers and feed on other insects and nectar from flowers. Field ants do not normally nest indoors, but the workers frequently forage indoors for food and create an annoyance by their presence. These are the common house ants which nest in woodwork, masonry, soil and rotted wood. They feed on sweets, meats, vegetables, honeydew, and other insects. Nests in the ground are detected by the very small craters of fine soil. On occasion, a colony or part of a colony may establish itself inside a wall, behind brick veneer or beneath the carpet by a doorway. 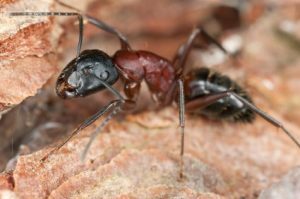 The pavement ant earns its name well, building nests beneath and along the sides of pavement: patios, driveways, sidewalks, foundations of homes. These pests can also be found inside of homes (and other structures) in wall voids, beneath toilets and water heaters. They also readily nest in and beneath insulation in walls and attics. Outdoors, you will see pavement ants nesting beneath mulch, landscaping, stones and logs, and also along curbs. Pavement ants are active foragers who will set up trails along baseboards, beneath the edges of carpets, beneath toilets and other areas inside a structure. Worker ants will also readily move to different rooms and floors via plumbing lines. These lines not only provide a “highway” but also provide entry points, and serve as a source for both moisture and, in cold seasons, heat. If you need ant extermination in Cape Cod, we can serve your area. We regularly work in Plymouth, Falmouth, Yarmouth, Hyannis, Chatham, Barnstable, Wareham, Dennis, Orleans, Duxbury, Scituate, Kingston, Marshfield and other communities. 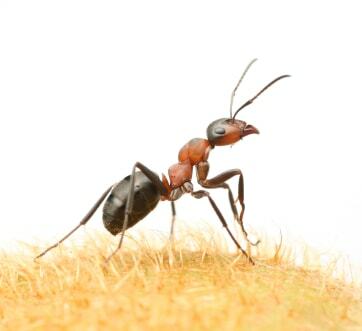 When you need ant control in this region, call on the pros at Pest Pros.